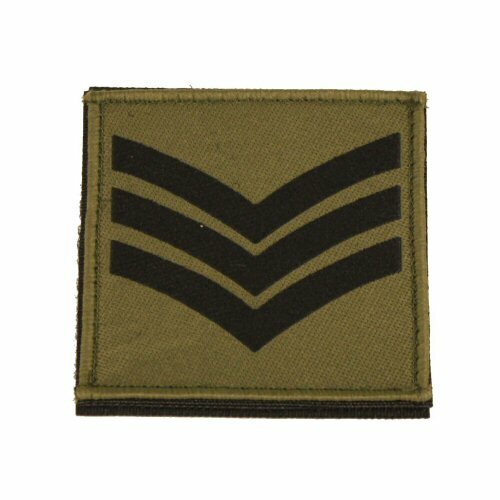 Woven rank patches for the MTP UBACS or PCS shirt. These are large 70mm x 70mm squares with olive background and black ranks. 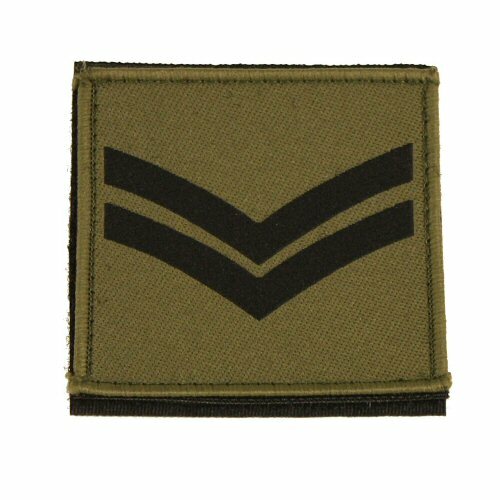 Fully woven fabric patch with merrow edge. 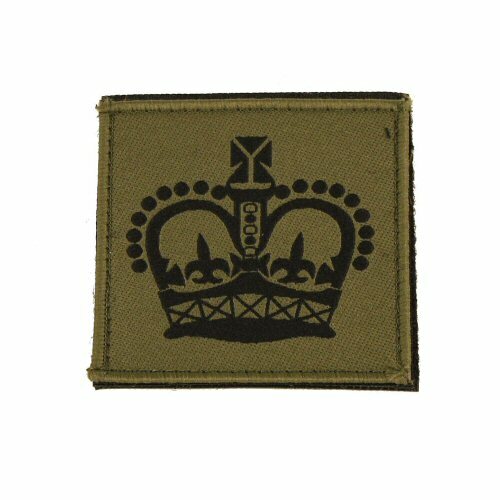 NB Corporal patch is embroidered on olive twill. 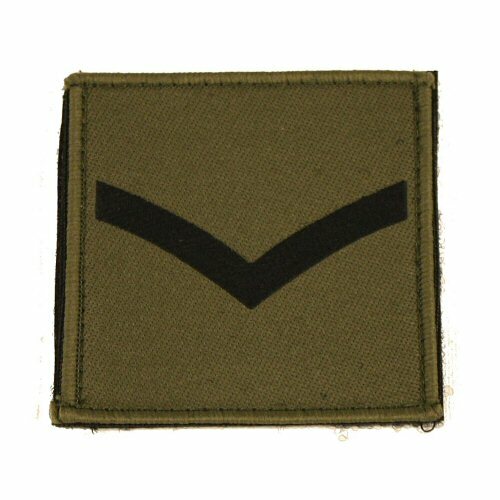 The patches come with black velcro sewn on the underside and a counterpart patch of velcro (loop) which can be used as a backing on shirts or jackets which do not already come with loop velcro panels. 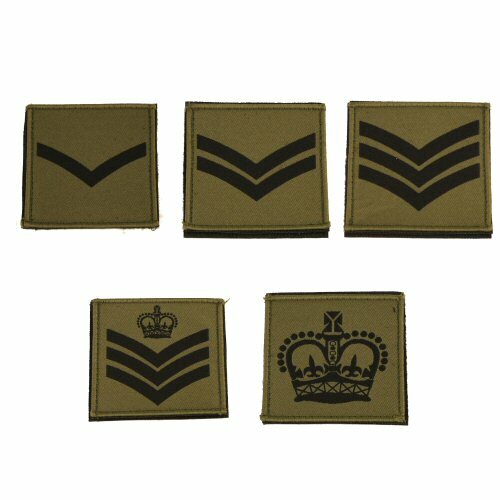 The available ranks are: Lance Corporal, Corporal, Sergeant, Staff Sergeant and Warrant Officer 2. Patches are sold singly. 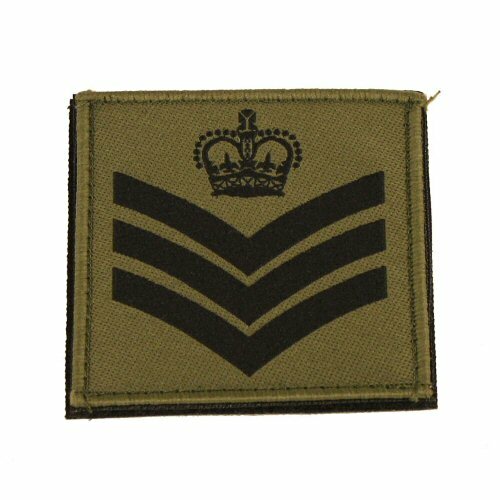 Available options are: LCpl , Cpl , Sgt , SSgt , WO2 .